As Atlanta prepares to welcome a new mayor, we wanted to do something very special for Kasim Reed. He has generously supported Generation Infocus through the WEI program and we are very thankful for all that he has done for us so that we can continue supporting young minds through STEAM education. 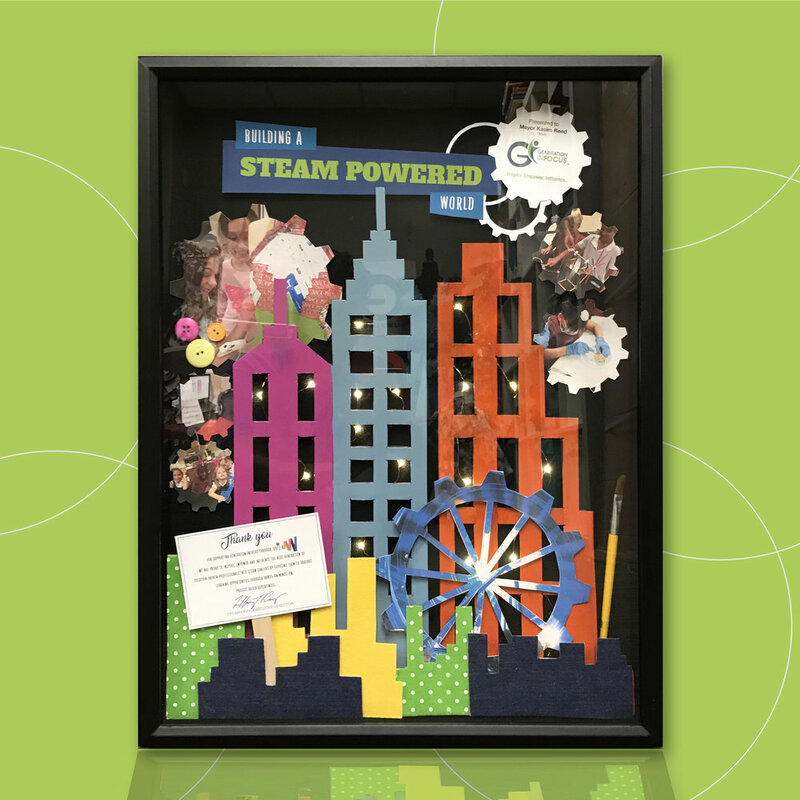 Our team constructed an LED lit city scape to represent how STEAM powers our entire city. Thank you again for your support and we wish you much success in your future endeavors!